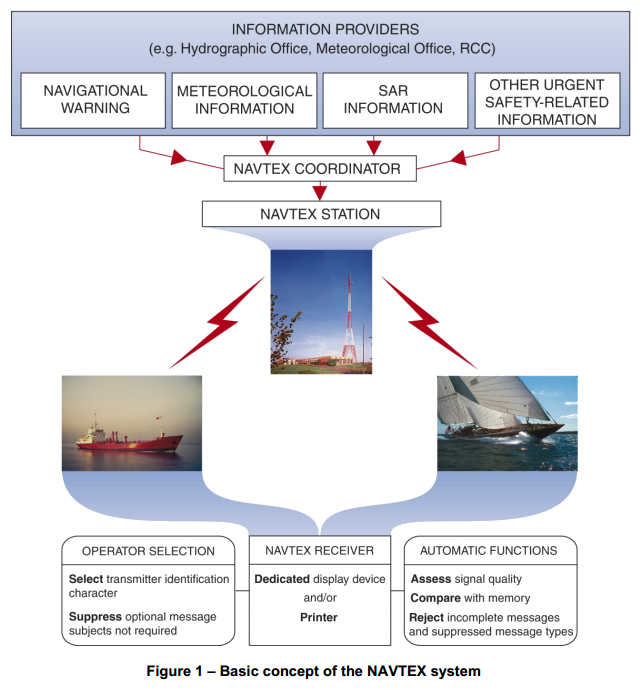 Navtex (Navigational Telex) is an international automated direct-printing service for promulgation of navigational and meteorological warnings and other urgent information to ships. 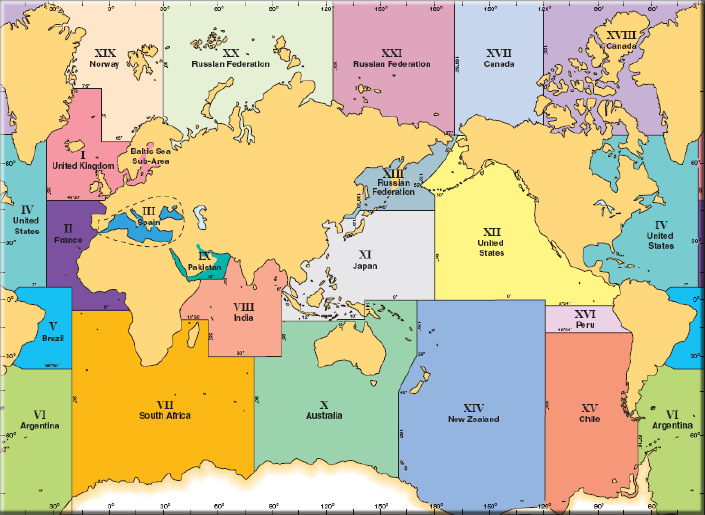 It is one of the two principle methods used for broadcasting maritime safety information in accordance with the provisions of the International Convention for the Safety of Life at Sea, 1974, as amended. It has been developed to provide a low-cost, simple and automated means of receiving maritime safety information and Search and Rescue alerts on board ships at sea and in coastal waters. The information transmitted may be relevant to all sizes and types of vessel and the selective message-rejection feature ensures that every mariner can receive safety information broadcasts which are relevant to their voyage. These web pages is a free non-commercial resource service to all mariners and other interested parties who want an easy access to Navtex messages. Many ships and boats have internet today but not all of them have a good Navtex receiver and least but no last, a GOOD antenna. The site is an alternative way of still being able to access Navtex messages for those mariners without adequate long range Navtex equipment. The site is also a Navtex ARCHIVE. It will always contain the latest Navtex messages, but in additionolder Navtex messages can be found here too. The archive is organized such as that all Navtex messages are grouped in subfolders, one subfolder for each day. This goes on for a month. A full month will then contain daily folders from 28-31 subfolders, one for each day in that particular month. Each time a new month starts, then all the daily subfolders with Navtex messages for the previous month will be grouped under a new parent folder with the appropriate month's name. Each time a new year starts, then all the twelve monthly subfolders for the previous year will be grouped under a new parent folder with the appropriate year's number. By this organization finding any historical Navtex message in the old archives should be rather easy. I hope this Navtex archive can be of value to all mariners like Seamen, Fishermen, Sailors and owners of pleasure crafts. I also hope the archive can be of value for the authorities, VTS-Services, port authorities, pilots etc. The subject indicator character is used by the receiver to identify different classes of messages above. The indicator is also used to reject messages concerning certain optional subjects which are not required by the ship (e.g. LORAN C messages might be rejected in a ship which is not fitted with a LORAN C receiver).